These larger-than-life sculptures by Bruce Lowell look more like pixelated photos than LEGO creations. Seriously, just squint your eyes a bit and these lunchtime treats look just like the real thing! 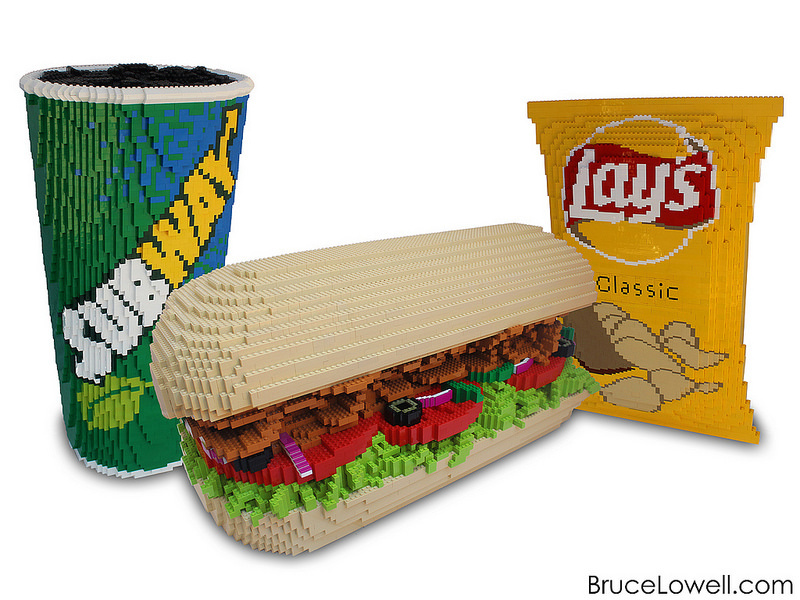 I particularly love how Bruce captured the Subway and Lay’s logos perfectly, even on three-dimensional surfaces. And while it normally bothers me to see an underlying color showing through to a top layer of a different color, allowing the white layer to show through on the stair-stepped portion of the raw red onions is simply genius!